Give your employees the benefit of financial fitness. 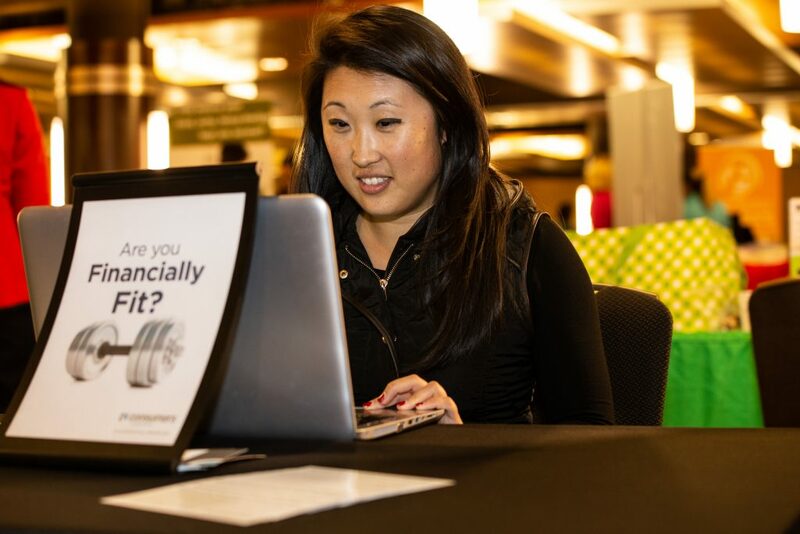 With the Consumers @Work program, we partner with more than 175 employers across West Michigan to offer free financial seminars and counseling, informational materials, account setup and more to your employees. Why partner with Consumers @Work? Great financial products and services for your employees! Consumers @Work is complimentary and immediately available for implementation! That means there is no cost for employers and employees to receive these services and others (Yes, we really are that nice!). We also offer services like an onsite ATM at your workplace. 1 APY= Annual Percentage Yield. Promotional product is available and rates are accurate as of 2/1/2019. Rates are variable and subject to change at any time without notice. During the first year, the account will earn no less than 3.00% APY. Offer available on accounts with a minimum balance of $2,500 and a maximum of $250,000. Funds currently on deposit at Consumers Credit Union are not eligible for the promotion. Limit one promotional account per household. Fees may reduce earnings. 2 All loans subject to approval. Rates, terms, and conditions may vary based on credit worthiness, qualifications, and collateral conditions. Offers not available on existing Consumers loans. APR discount available on refinances of vehicles model year 2009 or newer. Current loan must have at least 6 months payment history and over $5,000 remaining balance. Lowest available rate is 2.99%. 3 All loans subject to approval.